Spring classes are now in session! - Johnny W. Thomas Law Office, P.C. Spring classes are here and they are filling up fast. 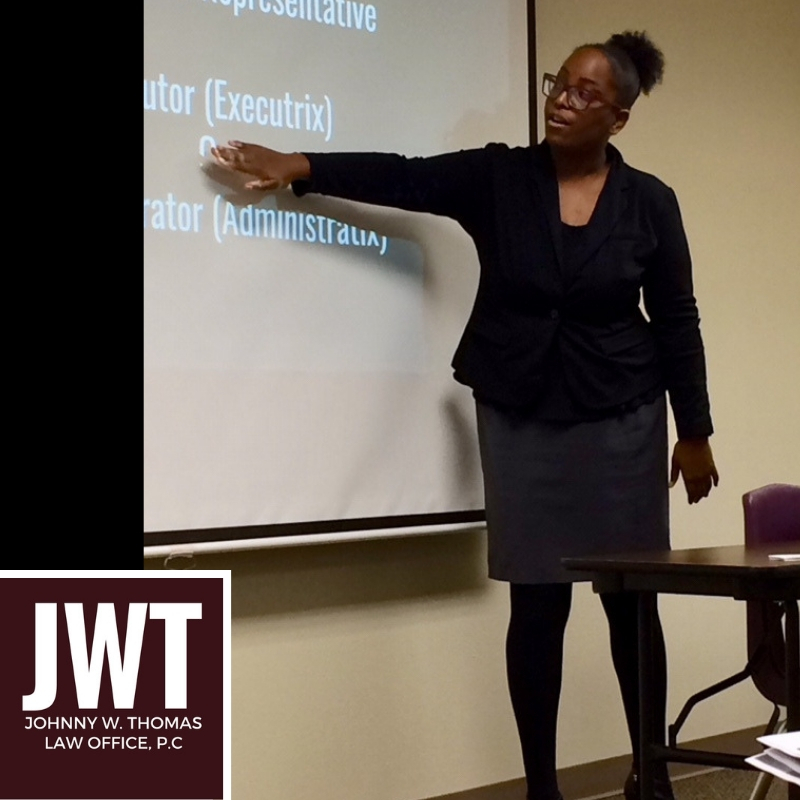 Attorney Whitney Thomas will be teaching three classes for the North East Independent School District Community Education program. 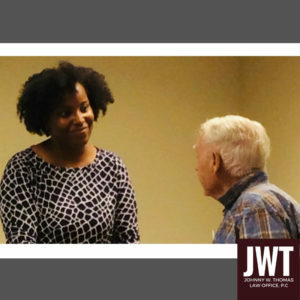 The Fundamentals of Basic Estate Planning – In this class, we discuss the importance of estate planning for all and why seeking competent legal advice is a necessity for a proper estate plan. 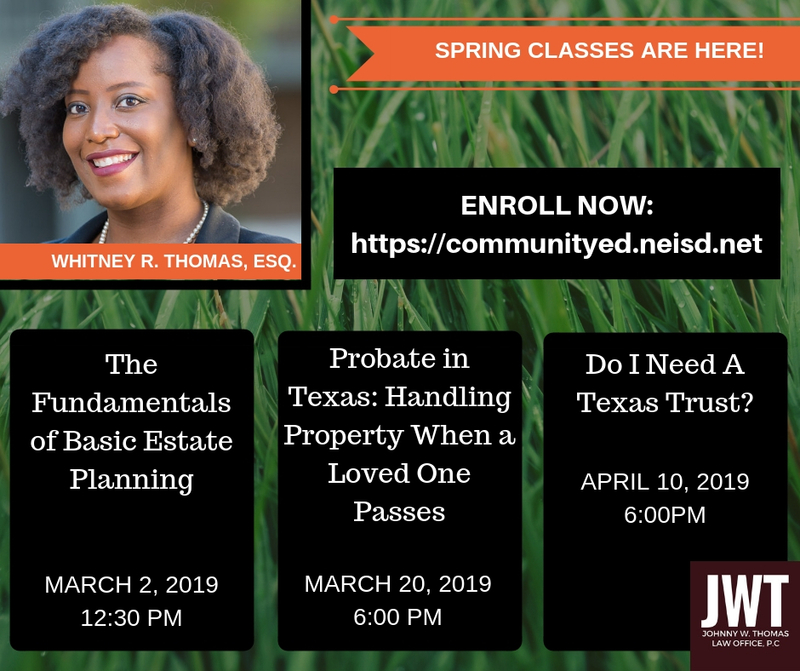 Probate in Texas: Handling Property When a Loved One Passes – In this class, we discuss the multiple probate proceedings and alternatives provided by Texas laws. We further discuss the importance of seeking competent legal advice to handle property matters when a loved one passes away. Do I Need a Texas Trust? 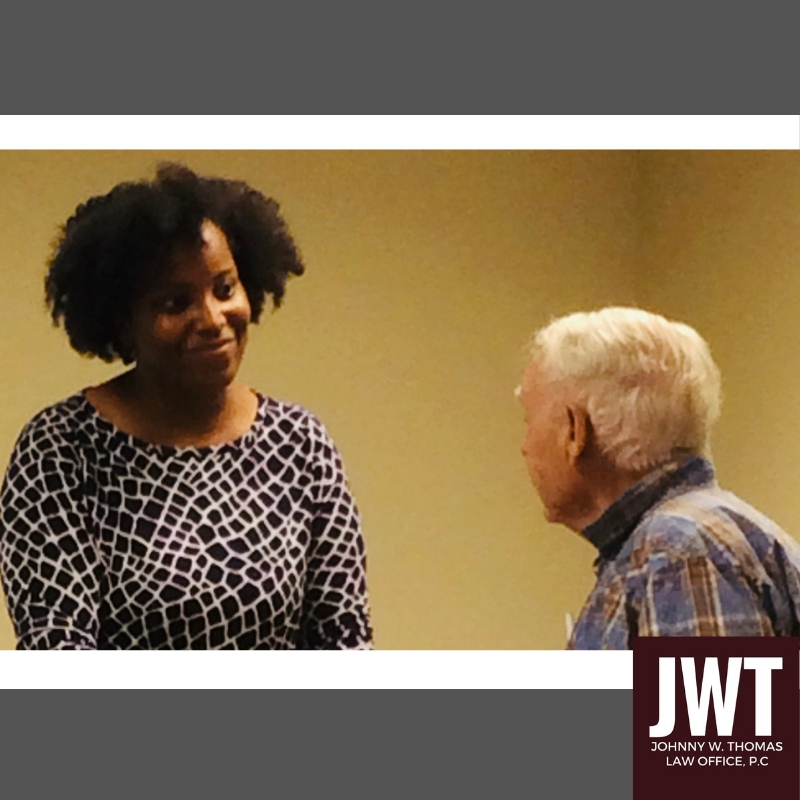 – In this class, we discuss the importance of estate planning and when the creation of a trust should be considered as an estate planning option. We also discuss the importance of seeking competent legal advice for all estate/trust planning.